Lausanne, 25th February 2018 – The Etna International Trophy went back to the South slope of the highest active volcano in Europe. Thanks to the heavy snowfalls, today’s Vertical race was disputed in Nicolosi. The Skimo “White Circus” this morning went on the tracks right over the Rifugio Sapienza. Athletes competed in a 550m positive difference in height race. 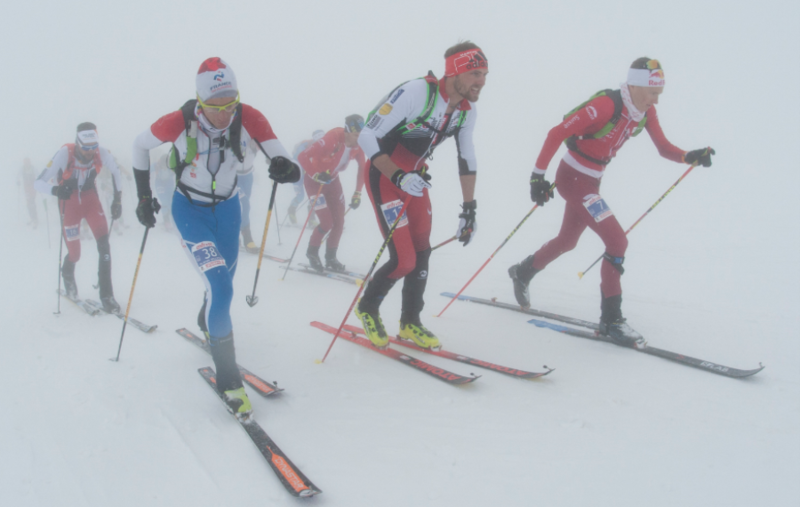 Weather conditions put a strain on the Local Organisers Committee, in fact today’s race was dominated by 20cm of fresh snow and there were no optimal visibility conditions. It was the champion Kilian Jornet (ESP) who dictated the rhythm of whole race. Immediately after the start the Italian Nadir Maguet took the lead, but he was dethroned by the Spanish, who gained precious metres. Behind him there were Davide Magnini (ITA), Werner Marti (SUI), Robert Antonioli (ITA) and Antonio Alcalde Sanchez (ESP). Kilian kept a good rhythm, but the young Davide Magnini tried to chase him. The Spanish Kilian Jornet came out of the mist and flew directly in the first position, crossing the finish line with a time of 23’34’’. Davide Magnini(ITA) reached the second position four seconds after. It’s Antonio Alcalde Sanchez (ESP) who rounded out the podium in third position. Fourth and fifth positions went respectively to the Italian Rober Antonioli and to the Swiss Werner Marti. The women’s race was still dominated by the French Axelle Mollaret who won the gold with a time of 25’54’’, behind her the Swiss Victoria Kreuzer, followed by the Italian Alba De Silvestro who crossed the finish line at 27’15’’. The fourth and the fifth places went respectively to Katia Tomatis (ITA) and Claudia Galicia Cotrina (ESP). Davide Magnini is the champion of the Under23 category, Antonio Alcade Sanchez (ESP) was second while Rémi Bonnet (SUI) third. Alba De Silvestro (ITA) shone among womens, she got the first position, followed by Alexandra Hauser (AUT) and Marianne Fatton (SUI). The winner of the Junior men category was Pau Coll Turra (ESP) with a time of 23’21’’, while Sebastien Guichardaz (ITA) and Andrea Prandi (ITA) got the second and the third positions. In the Junior women’s race it was extraordinary Ekaterina Osichkina (RUS), behind her Giulia Murada (ITA) and Mallaurie Mattana (FRA). It was an Italian triumph among cadets thanks to Matteo Sostizzo and Samantha Bertolina. 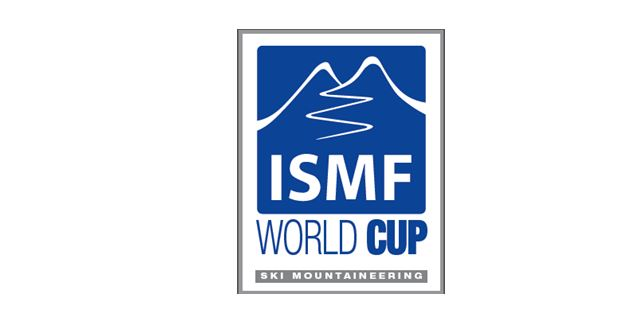 The ISMF will be back soon on 7th and 8th April with the World Cup races hosted in Madonna di Campiglio.